Is your business wanting to know how to ask customers for reviews? Requesting clients to provide feedback isn’t convenient, yet crucial to encourage. Improve your reviews on Google, Yelp, and Facebook without having to email customers. Generate more good reviews with a five-star online reputation management strategy. We live in a world where your online reputation can be your strongest asset or your biggest liability. In fact, 90% of consumers read online reviews before visiting a business. If you have more bad reviews than good, you could be missing out on a large net of potential consumers. More importantly, online reviews act as a first impression of your business. Your online reputation needs to provide an accurate depiction of your company as well as what people can expect when they do business with you. If you’re wondering how to ask customers for reviews, you’re in the right place. Most companies struggle with the first step of this process; asking for reviews. Here, we’ll discuss how to ask customers for reviews, improving your online reputation and the many benefits positive reviews can provide your business. What is online reputation management? First and foremost, having relevant and up-to-date business reviews influence buying decisions, play a role in SEO purposes, improve external directory rankings, increase visibility, and lead to higher conversions. Prospective buyers look at overall ratings, the total number of reviews, and basic business info. After that, they start looking at individual reviews to learn what to expect from a business and whether or not they should buy their products or use their services. Search engine optimization is a must-have when trying to rank organically on Google. These search networks thrive off of new and fresh content, relevant keywords, and trustworthy sources, all of which online reviews provide. Search engines like Google favor sites with a strong online presence, so it’s not uncommon for Google +, Yelp, or Facebook pages to rank higher in search results than your actual website. 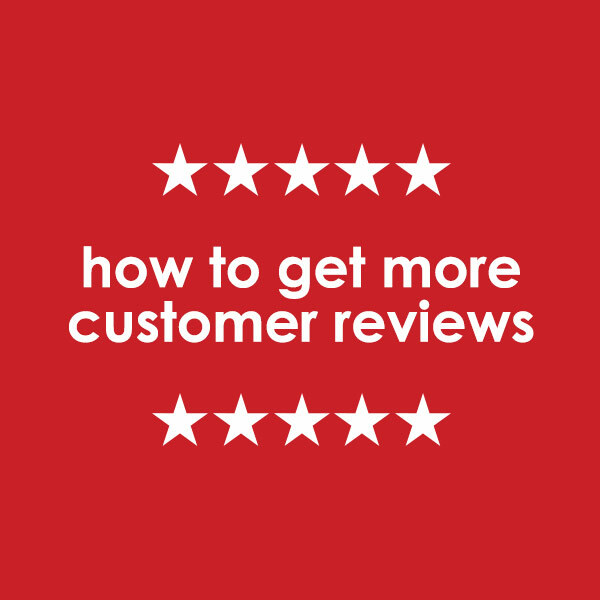 It’s pretty straightforward, but the more reviews you have, the more eyes you will have looking at your business. The more eyes, the more leads and as a result, the more referral traffic you’ll receive. Potential consumers are turning to customer reviews before they make their decisions. The more quality and honest reviews you have, the more likely they are to convert. So, the key takeaway here? Online reviews are critical to your success. Not only are they important to the majority of online shoppers, they’re also necessary for securing your online visibility in organic search rankings. This is crucial information as the better your website ranks organically, the average advertising costs will decrease down the line. More importantly, 88% of online shoppers incorporate reviews into their purchase decision. Another note to add, as these online customer reviews increase in importance and more competitors climb aboard the customer review train, your involvement is only going to become more crucial. Thankfully, you don’t need any special training to encourage positive online reviews; in fact, getting things started is easy. Here at Epic, we offer online reputation management services to our clients. In addition to our digital marketing services, we also provide a service that intercepts negative reviews and brings positive reviews to the forefront. Upon the consumer leaving your location, it’s time to start the conversation. As your staff is checking out the customer, letting them know you appreciate their business and would love to hear about their experience is the perfect way to plant the seed. Now it’s time to remind them with a text message or email, asking them kindly to rate their experience with your business. This online reputation management platform allows your customer to leave internal and external reviews, depending on their preference. The best part? Well, our system intercepts negative reviews and pushes positive reviews to the forefront. Even if that customer left feeling disappointed about their experience, allowing them to vent their frustration within this internal platform guarantees the business can handle the situation and block reviews from affecting ratings on directories like Yelp, Facebook, Google+, etc. Now that you have initiated the conversation, it’s time to start generating reviews. If your customer chooses a rating of three stars and above, they are given the option to choose between online directories of your choice and leave a public review. This includes any website that allows individuals to leave customer reviews. If your customer didn’t have a positive experience and chooses a star rating of two and below, they are given the option to provide feedback. This feedback goes directly to your email where you can then reach out to that customer and resolve the problem. As you can see, this online review management system gives the customer options, which allows more opportunities to gain business reviews. With a fair share of positive reviews coming through, it’s time to see an increase in your overall ratings. Depending on the review sites customers decide to leave online reviews on, expect to see a higher rating overtime and more relevant customer feedback. So, why are getting customer reviews so important? First and foremost, 92% of consumers read customer reviews. As mentioned earlier, building trust and caring about your online reputation is an investment that’s priceless. Not to mention, online reviews play a big role for search engine optimization purposes too. As the reviews start to compile, having a testimonials page on your website with a widget that automatically aggregates the positive reviews ensures that prospective customers are seeing fresh and relevant content. With Epic’s online reputation management services, we have the power to monitor and track results across multiple rating and review sites from one dashboard, making it easy to keep track of your online reputation. Our team of digital strategists oversee, respond, and intercept negative reviews while gaining more positive reviews and putting your business ahead of the competition. Ready To Increase Customer Reviews?